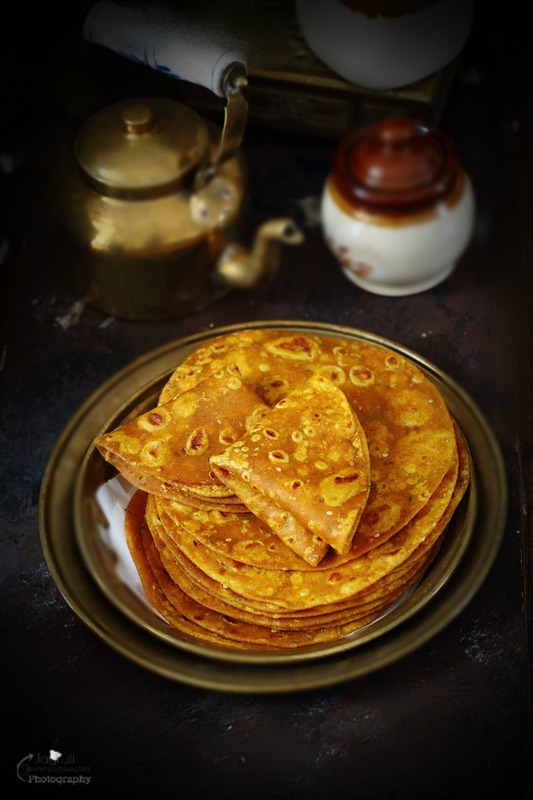 Authentic Gujarati Plain Thepla, are an inherent part of Gujarati cuisine. 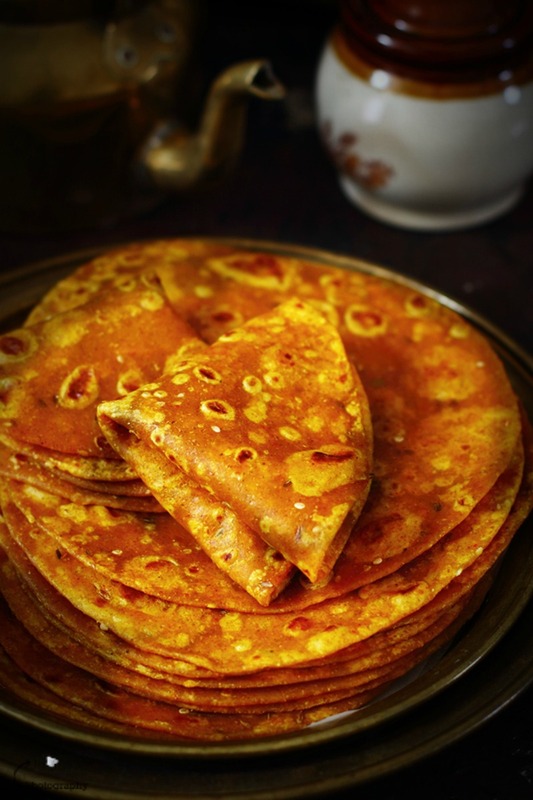 They do appear almost every other day in Gujarati kitchens, be it for breakfasts, lunch or travelling or picnics. If you love Gujarti cuisine then, try this thepla and see how you will begin to take fancy for it after enjoying Garma garam (hot) thepla accompanied with Pickle, Yougurt, Chundo , or Masala Chai. 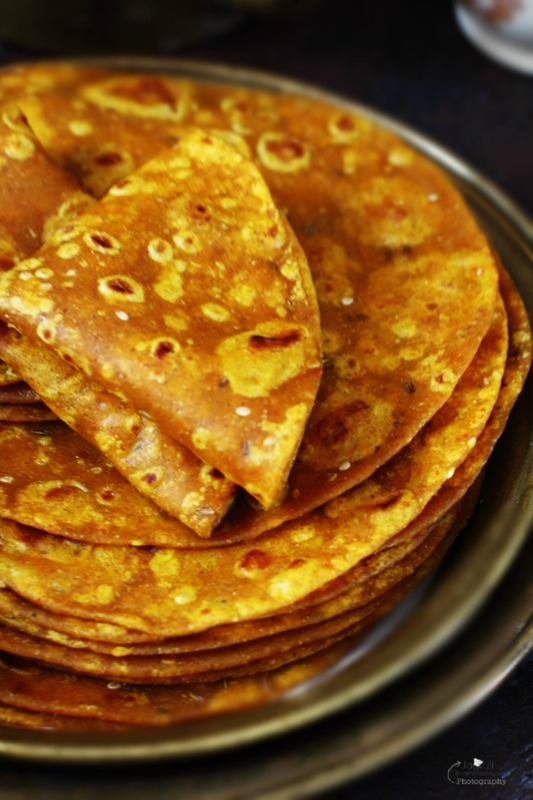 Many of my readers have asked me to post an authentic gujarati thepla recipe on JCO, so here it is, a must try lightly spiced plain thepla recipe. Although these thepla are made using basic spices , we still call them plain ( sada ) thepla as we are not using any kind of vegetables, greens, herbs or garlic and onion. There are couple of things to keep in mind in making soft and delicious thepla. Prepare dough with balanced spices and use yogurt to prepare soft dough, roll thepla thin and roast on high heat, by roasting them on a high heat thepla will stay soft and won't become crispy or chewy. I asked my sister to share her thepla recipe as she prepares best thepla in our family. On every visit to her place, I returned with a Dabba ( container ) full of her homemade special thepla. It's a dilemma for every Indian house wife, when she wants to provide her family nutritious Chapattis, which are best in quality and taste. Sourcing good quality chapatti flour always is an important factor. Lovely folks from Dhillons Organic sent me their medium brown organic chapatti flour. ' Love Life, Love Organic' is their slogan, couldn't agree more. 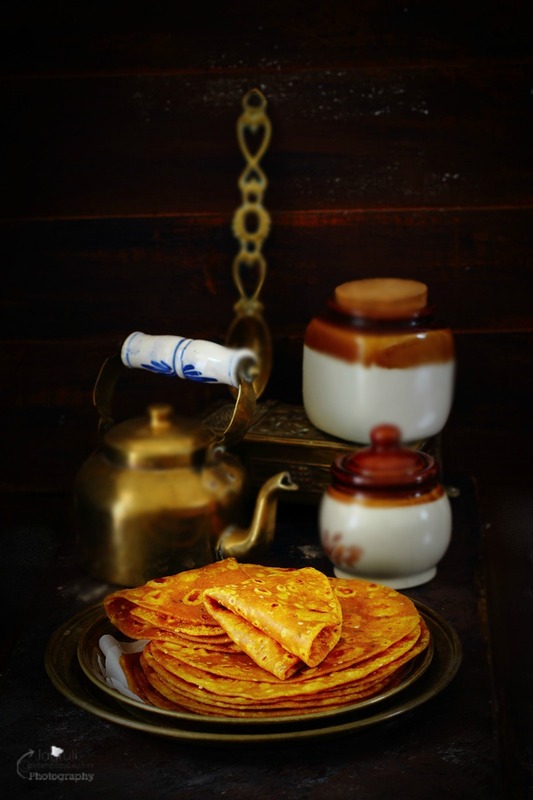 I loved making phulka , puris and paratha with it, its a great product with all the goodness and taste. Also I tried this flour in baking too, nice product to work with. Dhillons Organic Chapatti flour sourced from organic wheat grown at organic certified farms in Manchester, UK and packaged at organic certified facilities without the expensive price tag. Great to see that this company supports local agriculture programmes and farmers, boosts economy of this country and significantly reduces our environmental impact. 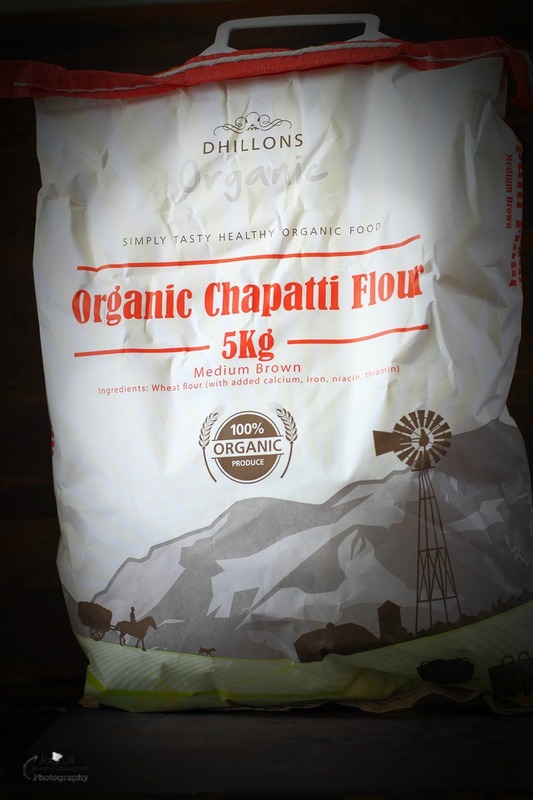 Thank you Dhillons Organics for sending me this great, tasty and healthy chapatti flour, can't wait to see 'Dhillons Organic wholemeal Chapatti flour' in the isle of grocery stores everywhere. 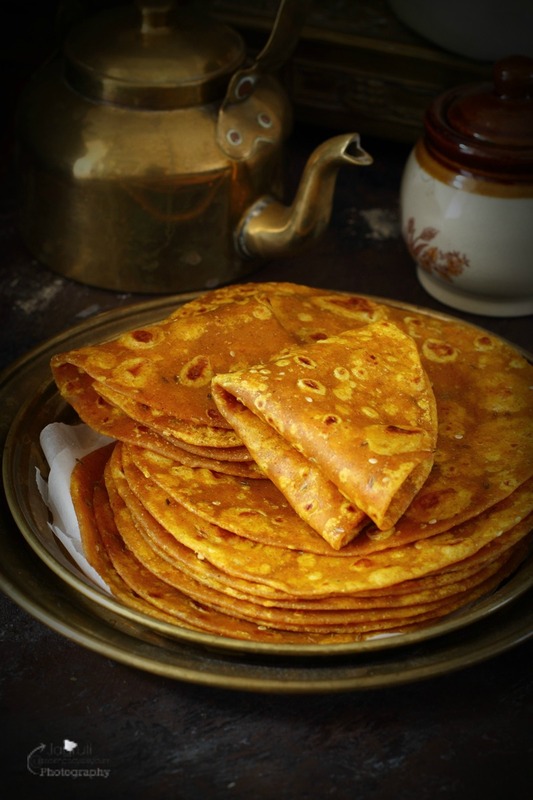 Soft and delicious Gujarati style pan fried flat bread made with wheat flour and basic spies. Mix well, and add water little by little and knead pliable dough. Leave the dough to rest for 10-12 minutes. Once you are ready to make thepla, knead the dough again for 2-3 minutes. This procedure will make thepla soft. Divide the dough into equal sized portions and turn into balls. Heat the tawa or griddle on a high heat. Roll the thepla thin ( slightly thicker than gujarti roti ) using rolling pin and dry chapatti flour. Place rolled thepla on to heated tawa, and cook both side applying oil very quickly. Repeat the same procedure with the remain dough. Serve with pickle, yogurt or tea. Disclaimer :- I was not told or paid to write a positive review by Dhillons. Please do Elizabeth..most welcome :) Thank you for kind words. 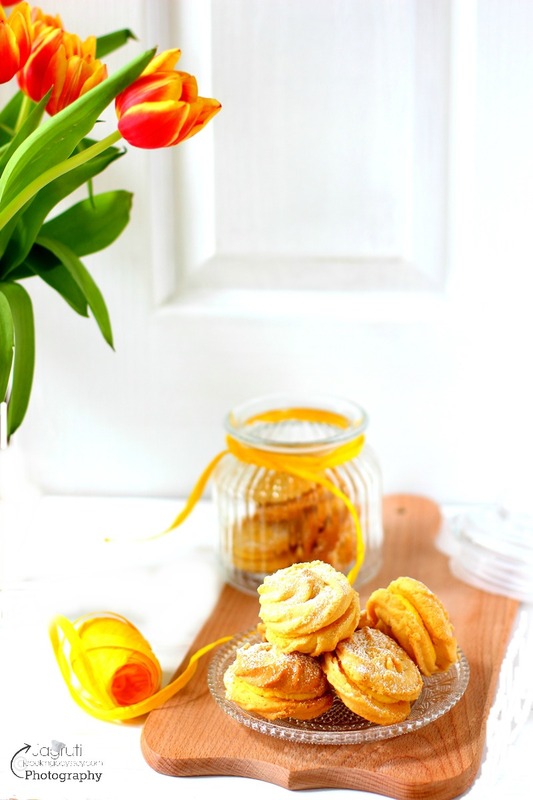 Oooo, these look delicious! I need to try them sometime soon! They look delicious! I'll have to keep an eye out for that flour. Never heard of this flour but very intrigued now!